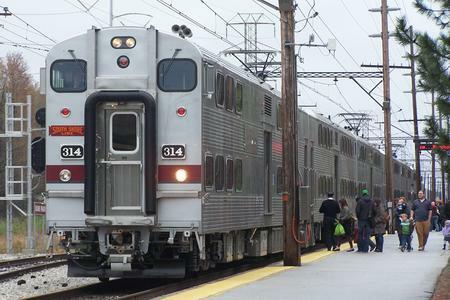 Car 41 at the end of a westbound train leaving Miller. The initial order of 44 Nippon-Sharyo cars were delivered in 1982 and 1983. Car 41 was destroyed in an accident in 1987 and was replaced along with two other cars (cars 17 and 26) as part of the 1992 delivered cars. Cars 45-48 were also added to the fleet in 1992. Car 101 leads an eastbound train at Dune Park. Cars 101-110 delivered in 2001 have a cab at one end (odd cars east end as shown, even cars west end). These are typically run at the end of trains. Wrecked cars 11, 27 and 36 were also replaced in 2001. 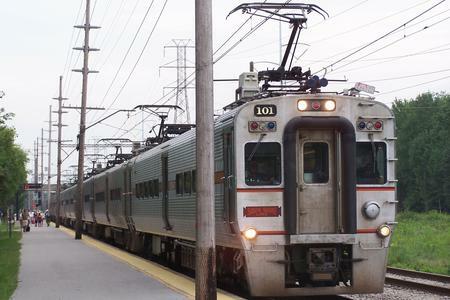 204 Series Trailer at East Chicago. Cars 201-210 delivered in 1992 are trailers. In order to handle the increased passenger loads at that time these cars were designed with extra seats in the center of the car in place of the restroom and center doors. Restrooms may be accessed in other cars. Passengers must use the end vestibule doors to board and alight. Car 314 leads a westbound train at Dune Park. 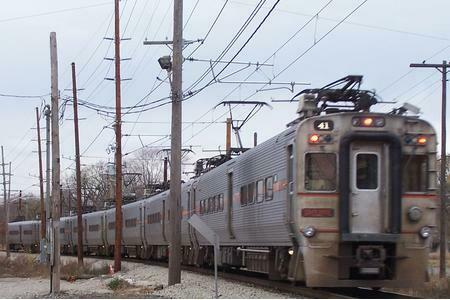 Cars 301-314 were delivered in 2008-2009 and put into revenue service in 2009. 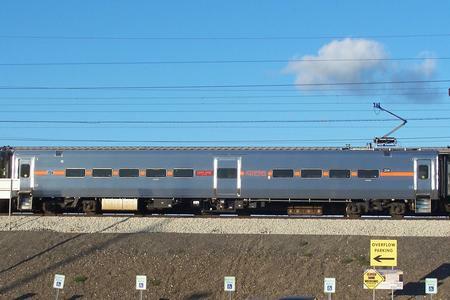 These cars are based on Chicago's Metra Electric District rail cars delivered in 2005. These are single cab gallery style cars. Each car is divided by a central vestibule and have a vestibule at the non-cab end of the car with traps for low level platforms. All 14 cars are identical with odd number cars facing east and even numbered cars (as shown above) turned to face west. Trains may be built of two to six cars. Gallery cars cannot be mixed with single level cars. More Photos: Click here for detailed photos of the cars shown above. 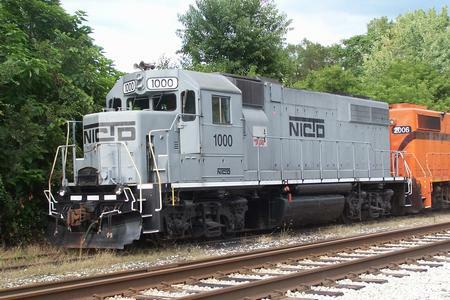 NICTD 1000 stands ready east of Miller with CSS 2006.